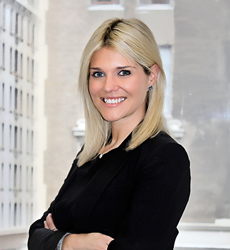 Brookhill Properties, LLC, a premier New York based real estate investment company, has announced that Courtney Knopf has been named Executive Vice President of Operations for the company. In this new role, Ms. Knopf will establish and optimize the day to day operations of the company including: strategic planning, staff oversight, and operational performance monitoring. She will also be responsible for maintaining strategic business relationships. Ms. Knopf will also continue to have and integral role in the development of the company, which currently has a portfolio of buildings with a current estimated value of over $500 million. Ms. Knopf brings a wealth of experience previous to Brookhill. Previously she was General Counsel to Martier, a high-end women’s fashion boutique chain, where she negotiated commercial real estate leases, sales contracts, renewal lease agreements, and corporate organizational documents. Ms. Knopf holds a law degree from Thomas M. Cooley Law School and a Bachelor’s Degree from The University of Tampa. “Brookhill Properties is extremely pleased that Ms. Knopf will be in this new position to assist in the growth of our company. Her professional contributions in the past have been of great benefit to us, and we look forward to a bright future for Brookhill with her in this new role,” said David Reich, CFO, Brookhill Properties. Brookhill Properties is a real estate investment firm that has firmly established itself in the New York City market. Brookhill Properties is focused on the acquisition and development of residential properties in neighborhoods in the East Village and Chelsea neighborhoods. Brookhill was founded by entrepreneur Raphael Toledano, who has a proven track record of real estate investment deals. The Brookhill team brings together a unique group of experienced team with broad experience in the global real estate markets, as well as property development, real estate finance, and law, all working together to maximize our investments.